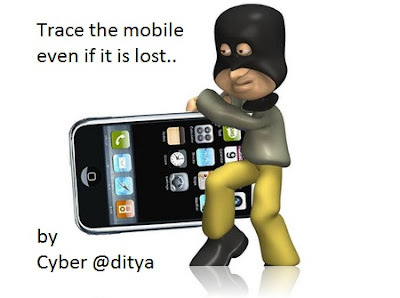 cyberaditya: how to trace mobile location if it is lost ?? how to trace mobile location if it is lost ?? 1. Dial : *#06# from your mobile. 2. Your mobile shows a unique 15 digit. 3. Note down this no. anywhere but except your mobile as this is the no. which will help trace your mobile in case of a theft. 5. No need to go to police. 6. Your Mobile will be traced within next 24 hrs via a complex system of GPRS and internet. 7. You will find where your hand set is being operated even in case your no. is being changed. Keep all these information stored for emergency use..
hmm... Mr.. Unknown yup.. i agree with u ..
they sometimes doesnt give any posiitive results.. but i my case,, it worked..and ... if u want.. better alternative u may try.. different apps which,, act like a logger !